Ladies Pavilion is an important and charming example of 19th century American decorative arts. 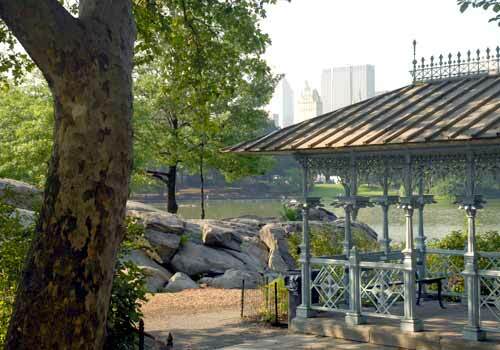 Architect Jacob Wrey Mould designed the ornate Victorian pavilion in 1871 as a shelter for trolley passengers. It originally stood near the Park's Central Park West and 59th Street entrance. When construction began on the Maine Monument in 1912, the pavilion was relocated inside the Park. Central Park Conservancy made repairs to the structure in 1979.